Today is the last day of Fall. Winter officially starts at 11:48 tonight according to the weather channel report that I wantched this morning. This was one of the most beautiful sunset I have seen this Fall. It's actually a lot more beautiful than this picture I took but as you can see the color is just stunning! I love the light that was formed like a cross. We only had one snowfall this month but now it's warm again although rainy. It is suppose to warm up some more in the coming days. I mentioned in my other blog that I was looking around for some deals at the music store. I find this orange crush amplifier very interesting. I am not looking to buy one but the color just brighten up my search. 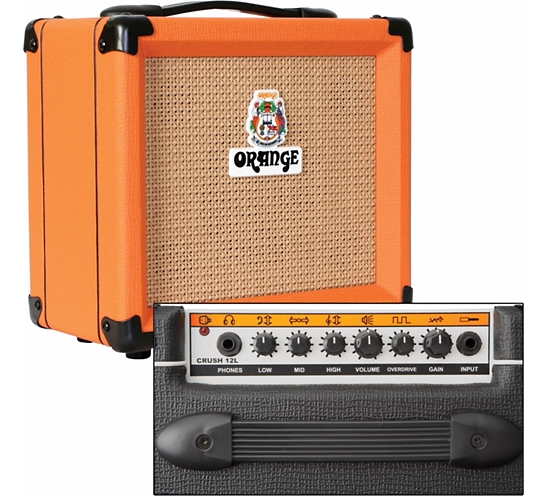 I don't know how much this cost though because it is currently unavailable so if you are looking for an amplifier, you might want to check online for pricing. If you own a pet, you know that they are an important part of the family. During the holiday season, you want to integrate them into your daily activities. Unfortunately, while certain foods and decorations may be a tradition in your household, they could pose a potential hazard to your pet. Animals are a wonderful addition to the family home. In addition to making your children happier, the beautiful creatures can also teach them the joys of unconditional love. When you’re preparing for the holiday season, ornaments, tinsel and other holiday decorations can be especially attractive to your pet. Whether they see them as a toy or edible treat, you want to prevent a disaster from occurring. Tinsel isn’t toxic, but if ingested, it could bunch and twist around your pet’s intestine. Glass and aluminum ornaments can also wreak havoc with your pet’s health if they are accidentally swallowed or stepped on. In addition to finding safer decorating alternatives for adorning your holiday tree, you could also place the decorations at a higher level and out of reach of your pet. Today’s animal shelters are filled with an assortment of animals ready for a loving home. When you’re ready to make the move to add to your family, do your research beforehand to ensure that you have the ideal pet for your lifestyle. Dedicated individuals such as Chris Havlicek realize the importance of giving back to the community. Whether you volunteer your time, adopt a dog or cat in need or make a monetary donation, your work through a charitable organization can make your neighborhood a stronger and loving environment for your children to grow up in. In addition to love, your pet is going to need proper health care, food and a safe environment to reside in. You can ensure your pet’s safety by protecting them from holiday candles and lights. If your pet enjoys chewing, electrical cords, they should be kept out of reach. Instead of lit candles with flames, today’s battery operated luminary candles are just as beautiful and much safer for homes with pets. Whether you prefer a real or fake tree, you want to ensure that it’s secure in the tree stand. You also want to select a location that your dog or can’t won’t have easy access to. A dog trainer can prove beneficial in helping to set room boundaries if your pet interferes with the tree, and its decorations. Tree needles both real and fake can prove toxic if your pet ingests the items. A spray bottle can help deter them if they start to chew on the braches or needles. Holly, mistletoe and poinsettias are other toxic plants that are dangerous if ingested. If you have to have them in your home, keep them out of reach of your pet. Bows and ribbons may look cute on your cat and dog, but they could present a dangerous choking hazard. When you’re opening presents during the holidays, dispose of your unwanted wrapping paper, ribbons and boxes carefully to ensure that they don’t become ingested. Nothing could damper your holiday spirit more than a trip to the veterinary emergency clinic. If your pet does put something that they shouldn’t in their mouth, you can entice them with their favorite treat to get them to drop the item. Food and treats are delectable staples of the holiday season. Unfortunately, people food can prove hazardous to your pets. Chocolate, nuts and bones are all dangerous and could cause a host of problems. If you want to spoil your pet, you can make a special trip to your pet store to stock up on their favorite snacks. However, to prevent diarrhea and vomiting, you want to keep the treats to a minimum. Last summer, we drove to Sugarcreek to let the kids see how Amish community are. It was an exciting trip for e too since i have never been to any amish community. It was my kiids and I's first time visiting. My husbnd has been there long time ago when he was still a kid. We were very anxious to get there because really want to see how things are in the amish community. We went to see the very old amish house beore we went to the town. It is so neat to be able to look around a vast area of farm. I always tell my husband that I would love to live in a farm someday. It was quite a long drive from our place but it was worth it. We turned around a couple of times because wqe got lost (despote having a GPS, lol) but we eventually found what we were looking for. I was standing at the yard of the oldest amish house when I took the last photo below. I will share the photos I took inside the amish house on the next post. It is so neat to see things that they used back then and things that they are still using till now. There were two old amish couple who entertained us when we came. Many people think that they are going to know what to do after they have been involved in a car accident. It can be very stressful and those who thought they might have an idea can start making mistakes. The things that are done at the scene of the accident and after the accident can impact whether or not you can be sued or file a lawsuit against someone else. Being in an accident flusters many people so having a plan written down somewhere in the car. This can help you calm down as you will have control over the situation as you have the knowledge what to do. The following are some tips for what to do after a car accident. Some people will beg and plead for you not to call the police saying that they will pay for the damage out of pocket. It is important to call the police regardless as they will document the event. This protects you from a frivolous lawsuit later down the road. The police officer’s police report will be the final say on the accident unless an expert is consulted later. Make sure to only give the police details that you witnessed and no extraneous details as they could be used against you. With smartphones being so prevalent it is important to document the accident as well as you can before cars are moved. Even taking a video can help if the person at fault tries to blame you. Any good car accident attorney will tell you to document as much as possible. Even if the other driver becomes aggressive or looks intoxicated it is important to video the entire situation. Some people tend to default to taking the blame but this is something you should avoid like the plague. Let the police officer decide who is at fault as they see thousands of these accidents over the course of their career. They might be able to see something like tire tracks that the untrained eye might overlook and make a judgement off of that. You do not have to wait exactly 24 hours but do wait until you have calmed down from the accident. The reasoning behind this is that many people divulge unnecessary information that the insurance company could consider careless. Only tell the insurance agent the things that are written down in the police report. Adding anything else just leaves it open to be brought up in court if a lawsuit is filed. The insurance agent isn’t working against you but they are trying to find out as much information about the accident. If you are injured in the accident then it is important to document all expenses that are a direct result of the accident. A lawyer will be able to have you compensated for this much more easily if everything is already in order and documented. Medical reports are important to request as these can prove injury as many insurance companies will try to prove that someone is making the injury up.